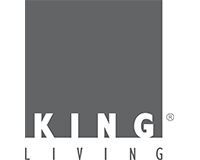 Since 1977, King Living has been at the forefront of Australian furniture design. The starting point for every King Living furniture piece starts with a series of questions. Who is it for? What kind of space do they live in? If their life changes, how can their furniture change, too? With all this in mind, the in-house design team get to work. Tried and true handcrafted methods are used along with innovative and experimental methods. Designs are refined until a sofa, lounge, or bed worthy of the King Living name is produced. It’s an approach that has served King Living well, and has resulted in category-defining modular sofas, as well as numerous industry awards. Of course, to discover new design possibilities, fresh thinking is required. King Living is proud to support the next generation of design talent by offering internships and job placements.